Overall, I had a great experience at The Tech Academy! When I decided to change careers, I was initially concerned that I would not be able to manage a traditional college degree as it would take too long and cost too much. When I heard about coding boot camps this was the obvious choice. I decided on attending The Tech Academy because of their flexible schedule. You can study any time 24/7 remotely via their online resources. Also, their track-record for graduates getting jobs in the software industry is excellent. And the price is completely affordable, especially when you factor in the average salary of an experienced programmer. The instructors are very friendly and helpful. And, the job placement staff are personally invested in your success. This really sets The Tech Academy apart from many other educational institutions. The academy not only offers a well-developed curriculum targeted at getting you ready for a career, they also offer interview training, resume development and employment searching advice. That’s such a great feature. Nathan, very well done for getting through the program and landing a job! Thank you for the review, and best of luck in your new career! The Tech Academy bootcamp has opened the door for a new chapter in my life. While I knew going into the program that the curriculum was well put together, I was very impressed with how interactive and involved the instructors were with the students -- even when we had to work remotely. I was able to attend in person a few times but found that I ended up having to work remotely more often than I initially expected I would. The instructors did an amazing job staying in contact with me, keeping me encouraged, and helping me stay on track. When I had a question or a problem, the response time was very good, and I was able to make steady progress. I highly recommend this bootcamp if you need to do one remotely and know that you're going to need regular encouragement. Hey Jennifer, thanks so much for your review! I'm glad to you had a positive experience on our program and that you succeeded and got a great job! I graduated from the Tech Academy in downtown Portland after about six months of studying their material for 6-8 hours a day, M-F. It really is a great springboard into tech, especially in PDX where the industry is booming. If you know for a fact that you are interested in software development as a career, this is a great place to learn a little bit of everything. It is up to the students topace themselves through the material, but the instructors are right there ready to help if you get stuck. The Tech Academy also staffs some awesome live project leads and job placement specialists. They really do a great job of preparing you to interview and enter the workforce by doing weekly round-tables on site. As a student, you will learn front-end design, database management, object oriented programming, and job search skills. The material is tailored to meet the industry's latest demands and the final project does a great job of tying everything together. I can't speak for other schools, but the Tech Academy is awesome! Hey James, thanks for the review! Very well done on your motivation and push-through to complete the program and get a job! Best of luck! The support was great. The curriculum uses different online videos to teach the various languages and follows up with a personal coding challenge at the end. Lots of support if needed. I'm glad we were able to support you in reaching your goals. Congrats on the job! 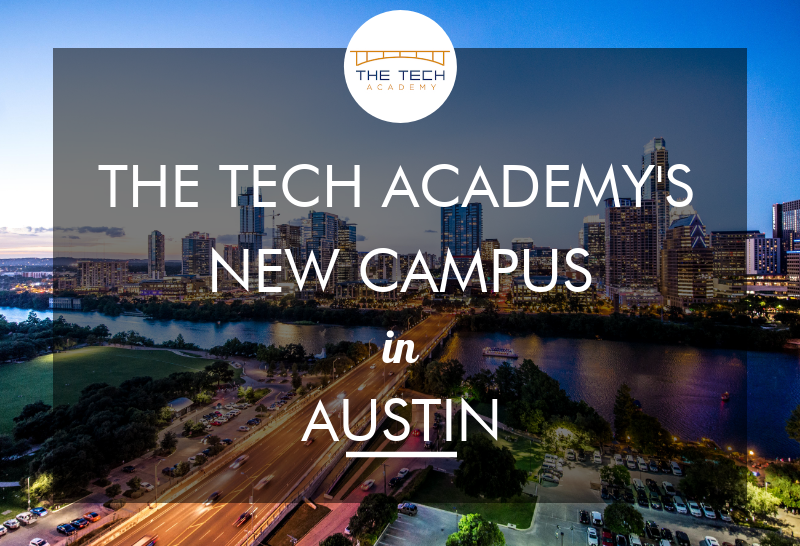 I enrolled at The Tech Academy after researching many, many schools. The Tech Academy was the only school offering more courses at a lower cost and a student can study from a remote environment, which was the best method for me versus traditional in-classroom study. The instructors provided great feedback and were tremendous resources that didn't give you answers to problems but pushed you in the right direction to become a better problem solver. I never once felt alone even when working remotely. The school also was really supportive when I discussed what my goals were and what I wanted to do in tech that they allowed me to study courses that would help in that direction. The curriculum does give you a very base level knowledge of each language, but if you want to work in tech, you have to continue your education no matter what. There is always something new to learn and build on for the rest of your career. 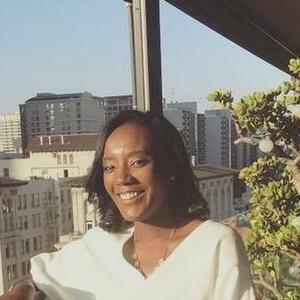 I had trouble in my job search only because I lived in such a saturated tech city; however, with the support of the job placement coordinators, I found opportunities with jobs looking for remote workers and snagged interviews. I now work with a company that liked me so much, they created a position for me that can build on my skills that I learned at the school and are also open to my feedback and ideas for improvements that I've never experienced before. Courtney, very well done on your persistence to land a job. Your circumstance definitely wasn't the easiest, but you pushed through and made it happen. Good luck in your future career! And thank you for the review! I had a really positive experience at The Tech Academy in Portland Oregon and I believe it was integral to me getting hired at Hewlett Packard as a software developer within four weeks of my starting my job hunt. This is a career change for me, I was an officer in the Coast Guard for 11 years doing project management for IT systems, now I will be a software developer and I am looking forward to the change. I chose the Tech Academy for the more comprehensive approach to software development, specifically the idea that a broader understanding of computer science would provide a better foundation for a career in software development. I figured a wider understanding would allow me to continue to learn different programming languages as technology continues to change. Also, the Tech Academy was more affordable than alternatives and it has a rolling start date so I could start when I wanted to instead of having to wait until the next course began. The program was flexible and individual so I was able to complete the work at my own pace and on my own schedule, while they provided a work space and instructors who could provide assistance when I needed it. I was also provided with a laptop to use during the course. My learning style is more solitary, so I found the videos and exercises to be very good. However, I also really enjoyed and learned from the two week group project at the end of the course. We worked on a real application for a real business. In this case an inventory system for a restaurant. It was a great opportunity to apply what we learned and to work as a team. I would recommend the Tech Academy to anyone looking to become a software developer, but I would suggest being in the Portland area so you can be on site as much as possible. Direct interaction with the instructors and other students makes getting past any roadblocks much smoother. I also found it motivational to go to the study area to work. Hey Bryce, thanks for the review! Very well done on landing a job within 4 weeks of finishing the program! Very well done, and best of luck in your career with your new skills! I am still in the middle of working through this boot camp, but I would like to express that thus far it has been a great experience! I began this boot camp because I felt that I needed a change in career, the current job I was in was good but it wasn't really getting me where I needed to go financially, I really wanted something that gave opportunity to excel in a field where I could really grow my professional career into something great. Going to school for many years to get a degree seemed like somewhat of an impossibilty with the logistics involved in having 3 daughters in combination with school, so the fact that the Tech Academy would be an opportunity to fast track to a specialized career path was ideal. Practical applications all throughout, code challenges, essays, multichoice tests. Flexible full or part time scheduling at any time no enrollment cutoff dates. Helpful in all ways needed to start your career: they help with everything from computer course supplies needed, resumes, job placement, interview training. Course is broken down in such a way as to gradiently give you all the knowledge you will need bit by bit from simple to complex. All along things are setup to give you hands on experience at searching for answers on your own and breaking apart your code to find solutions and if you hit the wall to many times the instructors are more then willing to help guide you, (if you ask for help) without doing it for you. This is a great place for anyone who wants to jump into a career in programming! Hey Sean, thank you for the review! You are progressing very well through the program, so keep up the great work. Very flexible, persistent staff helped keep me on track even when I didn't want to be. I believe having the Tech Academy on my resume helped land me a job as a Web Developer. Hey Kyle, very well done on landing your job as a Web Developer! I'm glad to know we were able to keep you on track, even when you didn't want to be. :) Best of luck in your career! I am a recent graduate of The Tech Academy in Portland and I have a very positive review of the program and the staff. The flexible, self paced nature of the program was perfect for working around my busy schedule; allowing me to quickly progress my skills while remaining balanced in my life. The staff and instructors have all been amazing. Everyone is friendly, professional, and most of all, helpful. While there are many online resources for learning development, I strongly encourage anyone interested in bringing their skills up to a professional level to take advantage of the program. Being in the school has introduced me to the tech community here in Portland, a resource I was sorely lacking prior to my enrollment, as well as given me a firm uderstanding of what to expect as a developer. Upon completion of the program, the job placement assistance has been amazing. Help with crafting a resume and cover letter, building a network, interview practice, and helpful insight into landing that perfect position have been invaluable. They even hired me on as an instructor while I continue my career search! If you already love to code or have hardly touched a computer in your life, The Tech Academy's program can help you achieve success in this amazing field of opportunity. Hey Daniel, thanks for the review! I'm glad you enjoyed the self-paced aspect of the school, and that you were challenged by the curriculum. And we are very happy to have you on as an instructor! I attended the Tech Academy because I wanted to make a career change. 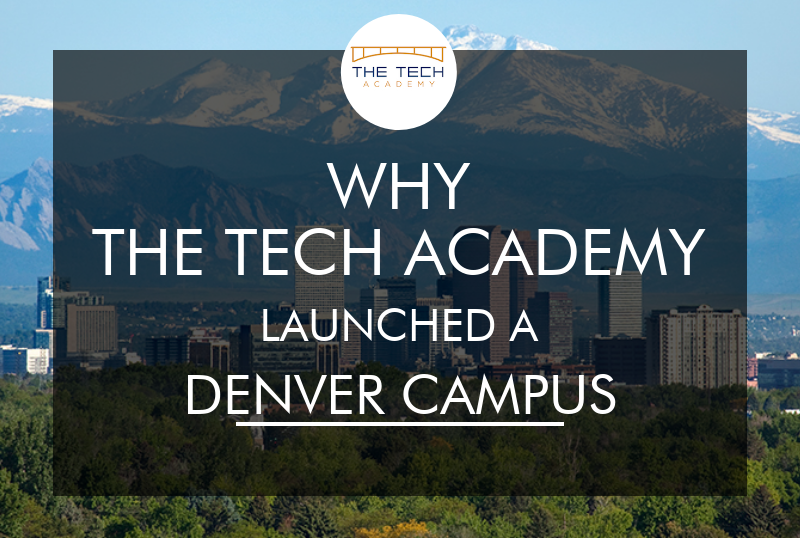 I chose the Tech Academy because I needed to keep working at my old job while studying for a new one. Having the option to go part-time after work and on weekends was a huge plus for me! There were instructors available when I needed them and I could move through the curriculum at my own pace. The lessons ran the gamut from computer basics to HTML/CSS and included programming languages like Python and C# - definitely a wide-range of topics! This made the Tech Academy a great value (and great experience) in my book. Hi John, thank you for the review! Making it through the program while still working a full time job during the day is quite a feat and reflects your persistence and determination. Very well done, and best of luck in the career ahead of you! I had some experience with coding in college, and after a few years out in the real world, I started trying to teach myself new languages. I found that I was a little bit all over the place and wanted to get a solid base and some projects under my belt. After a couple days of research, I decided to join The Tech Academy because they offered a part-time remote option, and they had some back-end development in C# and SQL. The program delivered as far as providing me a base level knowledge of multiple languages, and some projects to show to potential employers. I was surprised at how many interviews I got right off the bat after finishing the job placement course at the end of the curriculum. After finding a job, I walked into my first meeting expecting a lot to go over my head, but I actually had a good grasp on everything based on my experience with The Tech Academy. My only qualms with the program are that I wish I could have had a little more feedback on my code throughout the course. I got a lot of responses of "great job, you passed" and I would have liked to have a little bit more of a critical eye on my code. If you have any kind of a coding background, then the recommended timeline for finishing can definitely be much shorter. I definitely still got a lot out of it, and I can see how this is good for people of varying levels, but you should breeze through the first couple of courses if you have a technical background (though still fun and interesting). My last issue with it, is that as a remote student I feel that it was tough to get a hold of people at times. I had to send multiple emails and follow-ups, and sometimes I feel as though my requests for help fell through the cracks. But when I did get through, instructors were very helpful with projects and job placement. All that being said, I do think this is a great way to get a solid base in web development, and get started in a new career in coding! Thanks for the review Jason! Thank you for the feedback on your remote experience. I'm glad to hear about your rapid success in finding a job after the program! Best of luck in your career ahead of you! Overall, my experience with The Tech Academy was very positive. Even though I was studying remotely, they did an excellent job at providing a cohesive course of study that built on itself, got incrementally more difficult, and gave me the skills required to land my first job as a junior developer. One of my main reasons for choosing The Tech Academy was that they have flexible start dates and allow you to work on your own schedule, they indeed were very understanding when life got in the way of my studies. While they provide you with a multitude of resources and a logical order to complete things in, they do not hold your hand all the way through the process. They intentionally force you to practice your google fu and try to figure things out on your own, but the instructors are friendly and helpful when you need them. With that said, you will only get out as much as you put in. The Live Project and Job Placement courses were essential for finding a job after completing the bootcamp. The Live Project provides valuable experience to put on your resume while also building your confidence by giving you an opportunity to apply the skills you've been working on and learn some new skills. The job placement course is also extremely thorough and provides information on all parts of the job hunting process. The instructors also provide critiques of your resume, cover letter, github, linkedIn, and personal website to make sure you're putting your best foot forward when applying to jobs. The Tech Academy is perfect for anyone who is extremely self-motivated and looking to make a quick career change while studying on their own schedule. Hi Georgia, thank you for the review! I'm glad that you enjoyed your experience with our program! It's good to hear you appreciated the tough love, and I certainly hope your "Google fu" is pretty awesome now. :) Best of luck in your new job and new career! The Tech Academy was just the right bootcamp I was looking for. It allowed me to start as a remote student, and then study locally when I moved to Portland. It also taught me how to be a self-motivated learner and enabled me to develop problem-solving skills. In addition to teaching coding knowledge, the school also teaches students how to look for answers and approach problems on their own. Instructors are always available and willing to help, but they also guide students and teach them how to solve problems, rather than giving out answers right away. The curriculum was very well-rounded and I was able to explore the different areas of fullstack development, from HTML and CSS, to C# and Python. This was someone with very little programming background like me, this was extremely helpful because it gave me a solid foundation in software development and gave me the opportunity to explore the different areas and think about what I really want to work with. The school is also very supportive of students after they finish the curriculum, and assist all students with the job search. The Job Placement director continues to stay in touch with students for the job application process. Because of the practice interviews I had and feedback I got on my soft skills and resumes, I was able to gain more confidence during my job interviews and received a job offer in the tech industry. Shelly, thank you very much for the review! I'm glad you enjoyed your experience here. Very well done on your persistence, and on landing your job! Best of luck in your new career! What have you gained from doing The Tech Academy? I gained confidence in different forms. I gained the knowledge of programming. I gained the knowledge of how to research and find solutions to issues. I gained the confidence to know I will find out how to overcome an error/issue as long as I keep searching and don't give up! I have gained a new Junior Software Developer position at a company that shares similar values and goals. I gained some new friends that have helped me reach the goal of learning how to code and becoming a developer. How has what you learned at The Tech Academy helped you with your transition? The Tech Academy help me to dive in head first in to coding by making me find the answers/solutions myself instead of just giving me the answers/solutions. It helped teach me how to keep trying until I succeed by the encouragement of the instructors. What do you think of the curriculum? How has it benefited you so far? I start a new Junior Software Developer position in March. The Tech Academy helped me get this job by teaching me programming and effective error research. The live project class helped me put together all of the skills I learned throughout the bootcamp which allowed me to solidify my skills. The job placement department helped connect me with past successful graduates and was vital in my preparation for the interview process. What things do you like most about the program? Amount of languages, decent price, online convenience, part time convenience, instructor encouragement and guidance, job placement support and guidance, live project real world experience, coding challenges, simple student newsletter, the online guest were pretty good too. All in all I am very pleased with the outcome of this bootcamp which is being offered a junior developer position with a great company. Corey, it looks like you covered it all! Thank you for the review and very well done on getting through the programming and breaking into the industry. Best of luck to you at your new job and new career! Flexible studying: The Tech Academy has a learning management system (LMS) where you can take the course work at your own pace and spend up to 30 weeks on the curriculum. This allows for people to spend as much time as needed on each course until they feel comfortable moving to the next one. Job Assistance: The Tech Academy has a job placement instructor who helps out with resume review, holds weekly interview preparation and supports students through finding a job. I found that to be very helpful as I began looking for a company to work for. The coursework: While it has some good points, the course work is in need of an overhaul. There are modules that teach outdated methods for learning software development, especially in the C# course. I know The Tech Academy is looking at revamping many of the current modules (and may have completed them by the time of this writing), but they left a lot to be desired. I ended up using a lot of outside material to supplement my learning of the basics, such as Treehouse, which I thought should not have to do. I also believe they should focus more on project-based materials so students have a larger portfolio at the end of the program. The instructors: Many of the instructors are recent graduates of The Tech Academy. While this isn't necessarily a bad thing, it means their helpfulness outside of the scope of the curriculum is very limited. The final project: The final projects provide you with real-world experience, but they are limited in scope to The Tech Academy's Prosper IT consulting business. This constrains the choices of projects you can choose and also the length of each project. The Tech Academy should work with companies in the area who need interns, so students can get experience from a variety of different technologies for a longer time frame. This would make students more employable. 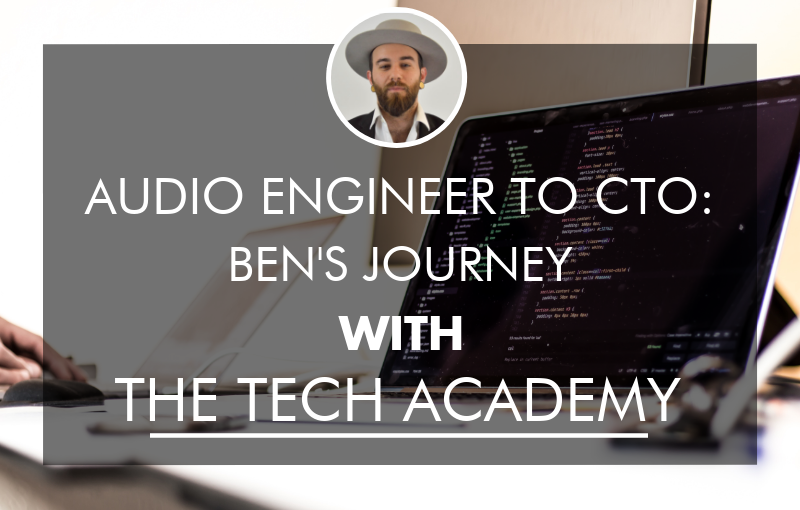 Summary: All in all, The Tech Academy is a school where you become the jack-of-all-trades, but the master of none. It helps you figure out what you want to specialize in, but expect to put in a lot of work outside the curriculum, especially if you haven't coded before (like me). I ended up finding a job that I am passionate about, but I would say about 75% of it was due to my previous experience, and the other 25% from the things I learned at The Tech Academy. Hey JM! Thanks so much for your feedback. Thanks for acknowledging the pro's. Yes, we are flexible and accommodate for people of all different schedules and locations. And you do gain exposure to the main basic areas that you'll need to know about in any software job. And thanks for acknowledging the job placement team. As you predicted, we've updated the C# Course since you did it. It goes a lot deeper, with the students building more projects throughout it. We also make regular updates to the rest of the curriculum to keep up with the most current technologies. Again, thanks for the review. We wish you the best of luck at your new job and to your future career! The Tech Academy was the only bootcamp in Portland that offered a flexible schedule, allowing you to work part time and take the course as well. The instructors are very helpful and promote self-displine whilst going throught the course. Although some of the courses could be re-worked, they are constantly trying to improve the courses they offer. The job search portion was intense, but managed to find one in Portland under two months in December (slowest hiring season of the year)! Wether in the course or job searching, the team is very supportive, and will do their best to get you what you want, provided you show effort and motivation. Hi Adrian, thanks for the review! I'm still so happy about the job you landed, and very impressed you did so in December, when most companies aren't hiring as much. Very well done on your persistence on the program, and good luck on your new career! I'm still fairly new to the Tech Academy program, but so far I'm loving it. I am historically bad at self-teaching, and despite the guided atmosphere fostered by TA, I was still apprehensive when I began because of the high focus on independent study. My apprehensions have all washed away, though. The coursework is set up in an intuitive way that has actually helped me believe I *can* self-teach (sweet!). TA provides me with the resources I need to independently study their materials, but get help the moment I need it from an instructor. This integrated approach to learning is new to me, but has been surprisingly effective. I find that I'm digesting information easily and have already found a few instances where I've put it to work for me in my personal life. The Tech Academy also has an encouraging focus on building each of their student's job acquisition skills, with weekly round tables, tech talks, a job placement coach and an entire course dedicated to job placement. I'm especially grateful for this arm of the program, as finding employment after this program will be such a high priority. The Tech Academy makes it clear they have your back on it. Perhaps the most resonating factor so far, though, is that TA gives me confidence. The atmosphere and attitude is can-do, the material and coursework is quality, the people are caring and informative, and the tools you learn invaluable. It makes me feel like coming here was the right decision. Hey JC, thanks for the review! I think it's awesome that you've gained more confidence in self-teaching since being here. That's definitely a skill all software developers need to have to make it in the industry, and is definitely a skill we seek to develop in all of our students. Very well done on the great work, and keep it up! The Tech Academy provided me with precisely what I was looking for. When I was looking for a coding boot camp, I was searching for one that would provide me with three main things: - Experience using a range of languages and tools that are commonly used in software development. - Experience writing code for a project to which I made contributions as part of a team. - Assistance in finding full-time employment after I had completed the program. The Tech Academy has provided me with all of these things and more. My only criticism of The Tech Academy is of their lack curriculum focusing on algorithms. There are many exercises designed to teach students their offered programming languages, but I had to search on my own for language-agnostic challenges such as implementing specific types of sorting algorithms. For me, even a nudge towards a site like HackerRank would be sufficient. However, aside from this one small critique, I thoroughly enjoyed my time at The Tech Academy. And I feel it would be a disservice to not mention that the staff and instructors are always willing to help and easy with which to build a rapport. Hi FP, thanks for the review! I'm glad that you got the three things you were looking for at our Boot Camp. And glad that you felt the instructors and staff were willing to help. If you need any more help with algorithms, let us know and I'm sure we could provide you with some more help on this. Best of luck to your future career! I am currently a student at the Tech Academy and have had an excellent experience. I took a few computer science courses at a local university and they weren't really for me. 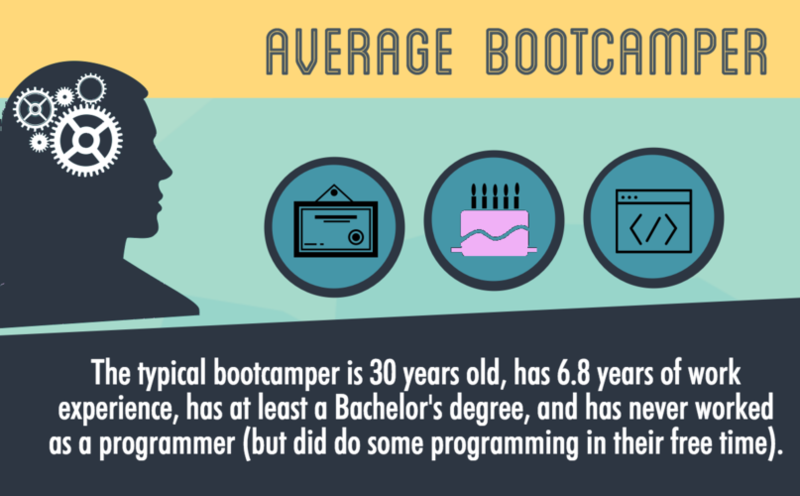 However, I knew I wanted to learn software development, so I decided to look at some bootcamps. The Tech Academy was the most highly regarded bootcamp I found so I took a tour, met some great people, and I knew this was a great program. I am the sort of person who benefits from being in an atmosphere where I am surrounded by a bunch of great people who submerge themselves in the material and have a passion for it. The staff and all the students I have engaged with have been knowledgeable and very supportive. Not only have I learned a lot of valueable skills, but I've made some great friends along the way. I already have gotten a job and things are only looking to get better. This isn't to say it's all fun and games. You definitely get out of it what you put in. But if you are motivated, looking for a great environment, and want to learn some awesome skills for a great field, then I highly recommend exploring The Tech Academy. Thanks for the review Nate! I'm glad you've had a positive experience here, and happy you brought up the point of you get out what you put in. That's definitely a factor which allows students at The Tech Academy to get through the courses faster (if they put in a more intensive schedule) and get more out of their experience here (by going more in-depth in technologies of interest) than what they might get from another boot camp. With greater flexibility comes greater discipline. But as you mentioned, there definitely are a ton of great staff and instructors that are there to help you through the process with guidance and motivation. Well done on your success so far, and keep it up! I gained an understanding of databases and specifically of SQL. I did a lot of thinking while doing the drills about comparing the concepts to large data databases. I learned the importance of good organization and structure of data, that the results from data queries be meaningful and that the data results are accurate. I realized the importance of writing good code and code that would prevent SQL injections. I enjoyed the course, so i may want to use it more. I like front end design and am interested in aspects of user interface design. However, i like the idea of having variety and that there is also logic and design on the backend. It would be nice to incorporate both aspects and that the academy gives a chance to learn both is great. Also on a more realistic level i like the salary figures of backend. I enjoyed Python and find it useful as an automation tool, and very versatile for many uses, like Django as a website framework. Also there are many ways and many industries in which Python can be applied. I liked the libraries and other modules that other users have contributed and being able to create my own personal modules. I think that it will a very useful tool for me as a software developer. Hi Rachel, thank you for the review! Glad that you liked the Python course and you became proficient in it! Keep up the good work! The Tech Academy is a great institution, the instructors are attentive and helpful, the curriculum is set up perfectly in that it starts out very basic but comfortably turns into more specified and challenging assignments, but not in a way that left you in the dust with no idea what you were doing like some other self-paced schooling. The Tech Academy taught me a great deal of the practical skills I will need for software developing, giving me a solid foundational knowledge, and more importantly it gave me the ability to learn more on my own and grow my own skills, but on a more personal level while attending I learned to get a hold of my procrastination problem and to become a better student and improve my work ethic over all. The one issue I ran into with the Tech Academy surfaced right before I was to graduate, and the issue was that I was getting very worried that in this line of work I might get a little stir-crazy, as I am an incredibly social and talkative person who thrives on interaction, so a job that did not have a considerable amount of that human element involved isn't something that I would be successful at. But luckily a job fell into my lap just recently that perfectly fulfilled my requirements, as it is a job in sales that would keep me constantly engaged with people and in a dynamic environment, and on top of that shortly I will be starting to work with the IT department on a project concerning their database. So while my path didn't go exactly where I planned post-graduation, I do not for a second regret attending the school and very much look forward to incorporating my skills to my new job. All in all the Tech Academy is an excellent school that provides a great learning environment with instructors that are more than willing and able to help whenever they can. I want to recommend the Tech Academy to anyone interested in technology and computing who wants to begin or change their career path. No prior experience or education in programming is necessary whatsoever for the incoming student. The Web is replete with resources for self learning many disciplines especially software development. And this is both beneficial and problematic. There are simply too many options and too many points of entry into this field of study. I needed a structured, curated curriculum and The Tech Academy has provided this. I don’t have the luxury at this point in my life to return to a traditional four year university degree program. The Tech Academy’s course of study takes 15 to 20 weeks. I needed specific training on employment acquisition. The Tech Academy’s job placement team provides weekly instruction sessions to prepare for the technical and personal interviews as well as resume construction and information on networking opportunities in the Portland metropolitan area. I didn’t have this resource at my college and graduate school. The cost of tuition at The Tech Academy is at least half of the amount (if not even less than that) that many other bootcamps nationwide charge. The curriculum structure is perfect for the coding newbie, even an absolute newbie like myself. The coursework begins with the fundamentals of computing and builds in logical succession. The content itself is broad spectrum covering both front-end and back-end web development languages and frameworks. This is a great benefit to me as I am still in the process of determining what direction I want to professionally pursue. The team of instructors are very kind, patient, and accessible. I am more than halfway through the content and have not met any concept or coding challenge that could not be understood and overcome. The study schedule is as flexible as needed for the situation of the individual student. I can recommend The Tech Academy to any interested student without reservation. Thank you for the review Beau! We love having you here, and I think it's great that the flexible schedule, the increasing difficulty in the curriculum, and the training in soft skills and technical interview prep has been a good fit for you. Keep up the good work! The coursework starts off really basic, which is exactly what I needed, then quickly progresses to full stack web/software development. I learned the fundamentals and was given assignments that forced me to do my own research. It really helped build my confidence to do my own research and figure things out myself. They do have staff available to help, everyone was very encouraging and I never felt like they were talking down to me, which was really important since it was all new to me. I’m not sure if other students felt the same way, but the coursework seemed to keep me right on the edge of my ability, always pushing me to learn just a bit more on my own to complete the projects. After completing the software development curriculum, they have Job Placement Directors to help with job hunting. They don’t get you a job, but they help with everything job search related like resumes, where to look, how to network and mock interviews. The skills and knowledge I learned at The Tech Academy allows me to not only work in web/software development, but added to my sales and customer service background and apply to a broader range of jobs. Ultimately, the position I accepted doesn’t involve actual coding, but having studied web development and databases helped get me the job. I really don't have anything negative to say about The Tech Academy. I admit that I wasn't the model student since I couldn't devote full time to studying, it took me quite a bit longer to complete than most students, and I wasn't available to be there for a lot of their group discussions and presentations, but they always happily worked with me to use my time wisely and get the coursework completed. Thanks for the review David! It's cool you pointed out how the coursework was always on the edge of your ability. Our curriculum was designed to increase on a gradient of increasing difficulty. Very well done on getting through the program, and best of luck for you in the future. This is still my first week at The Tech Academy though I just wanted to share some history. I have an A.A.S. in Computer Technology from Heald College and it can asked, so why am I here? Well, not every road leads us where we want to go. I was working 40 hours + a week and Heald was my night school. This was well before I was confirmed having ADHD and also, I graduated right after the dot com crash. Not a good plan? It sure sounded like one at the time. Thinking that between my good GPA of 3.25 and the word on the street about the market bouncing back... Uh no. It was just bad timing which lead me away from technology. The next several years devolved into mainly the electrical trade with varying side jobs. Nothing really culminating into a cohesive career much less training plan. It paid the bills but was really not a future. Now jump to the present. 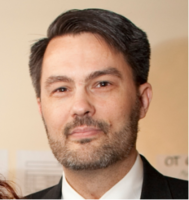 I recently became involved with ReBoot NW which, after winning a lottery or being a veteran like myself, provides federal grants to people wanting to get into either advanced manufacturing or technology. I chose technology to unearth and reinvent my career in computers. It truly was the best choice I could have made given my work history and The Tech Academy fit the bill. While attending a two-week ReBoot NW course I had my pick of three final presentations. I choose "training providers" and became my group's project lead. Since the goal was to make use of federal grants, this made sense to me. Using metrics to distill viable options, which of course was self-serving aside from a presentation, I deduced that Epicodus and The Tech Academy were the front runners. The selling point for the The Tech Academy was watching that student introduction video by Erik Gross. The lessons were laid out in a way that really resonated for a person like myself. Very procedural and building upon themselves. Coding? What's coding? Doesn't matter. It does if you have a genuine interest in software development. Commit to the opportunity that The Tech Academy has laid out before you. It does not a bright person to figure out their past has not served them well. Writing code. Yes I already knew what that was - I had simply never done that professionally. My point is a cliche; When opportunity knocks, answer it. Yes we all have heard that but, most times we do nothing to further ourselves. Vacillating over possibilities and regret are nothing but mental exercises. Take the necessary steps and commit yourself to your own future. Sometimes cliches speak soothe. And I'd agree with you Paul, you pulled in a killer opportunity, especially with the Reboot program. I look forward to seeing your progress on the rest of the program! Thanks for the review. I took much longer to complete the program than most. I was working 60 hour weeks with a wife and two kids. They worked with me and allowed me to work at the rate I could manage. I had been teaching myself programming for a couple of years before attending. 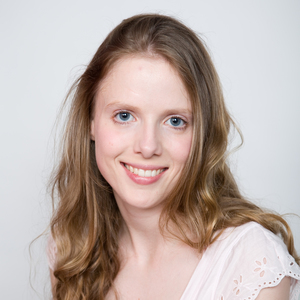 The tech academy helped me fill some gaps in my knowledge, but more than anything helped me overcome my 'imposter syndrome' and coached me on interviewing and marketing myself. I was assigned a coach who did mock interviews with me several times a week toward the end of the program and offered encouragement and advice. It took me two months to land a job as a remote full stack software engineer and I'm nearing my one year mark with the company. I went from working 60-70hr weeks and rotating shift work in factories to working 40hrs/week at home. I see my kids more than ever and am happier than ever. It's an immense challenge both intellectually and personally, but with perseverance, you can do it. I highly recommend The Tech Academy to anyone looking for a change in their lives. Wow this is a truly heart-warming story. Your perseverance to get through this program, on top of working 60-70 hours a week and supporting your family is astonishing and commendable. Very well done on your success, and thank you very much for the review!